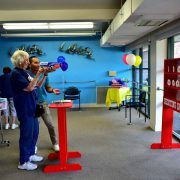 May 30th from 1 pm – 3 pm. 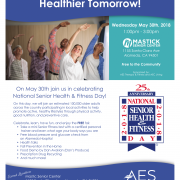 On this day, we will join an estimated 100,000 older adults across the country participating in local activities to help promote active, healthy lifestyles through physical activity, good nutrition, and preventive care. 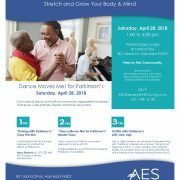 Thriving with Parkinson’s Day: Dance Moves Me! 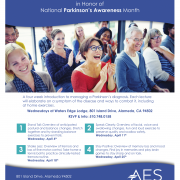 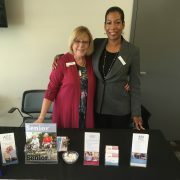 AES Therapy and Fitness is holding a free Parkinson’s class at The Lodge in honor of thriving with Parkinson’s Day. 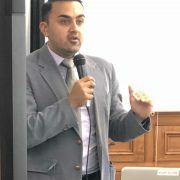 A four-week introduction to managing a Parkinson’s diagnosis. 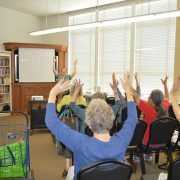 Each lecture will elaborate on a symptom of the disease and ways to combat it, including at home exercises. 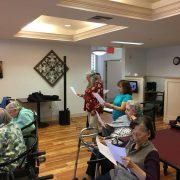 To celebrate the awesome career of Carole King and her birthday, the Elders Inn decided to have a sing a-long of some of her greatest hits. 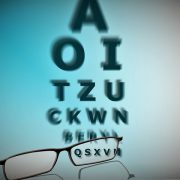 We regularly host special themed birth dates such as..
January is National Glaucoma Month and eye drops are an important treatment for this, and many other, age related eye diseases. 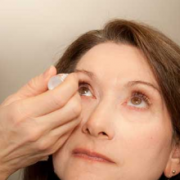 Here are some caregiver tips to help with giving eye drops.